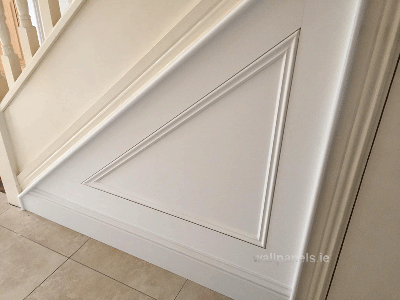 Hall , stairs and landing panelled in Navan Co. Meath this week. 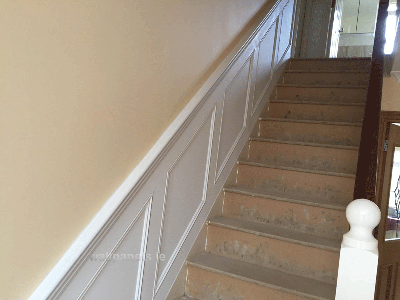 Primed white and ready for a finish coat. 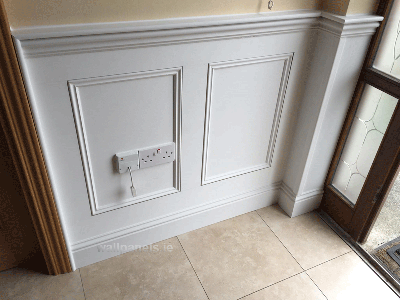 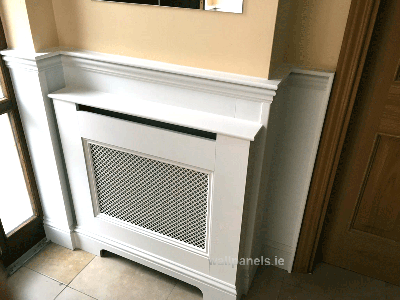 Wainscoting in Clare Hall, Stairs and Landing panelled in Castleknock, Dublin this week.